Jacki Ueng fondly recalls time spent in Southeast Asia’s Burma, once the doors of tourism were opened. 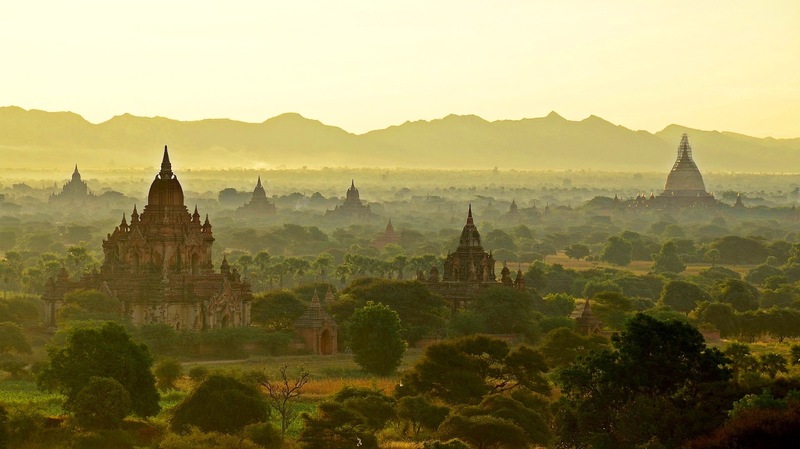 Burma (aka Myanmar) is my favorite place in Southeast Asia, and maybe even in the world. One reason being the open, honest and authentic people who populate the country. Buddhism prevails in most of Burma (followed by Hinduism and Islam), creating a peaceful aura, as far as every day people go. Their political issues are another story, but as a traveler, you will rarely encounter this unless there is a protest going on. 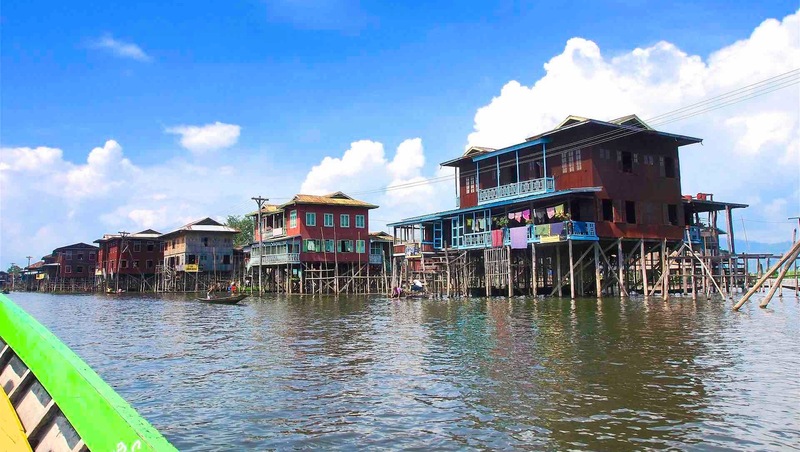 With more than 100 ethnic groups and a population of approximately 50 million people, it is still possible to find peace and quiet in this lovely country that borders China, India, Bangladesh, Laos and Thailand. The landscape in Burma ranges from mountains, to beaches and lakes, highlighted with Buddhist pagodas sprinkled throughout the country. The best way to travel is to either hire a driver for a few days (at a daily rate), take a bus, or fly between major cities. While I always plan a rough itinerary for my travels, I prefer to leave room for flexibility. You can book your transportation once you arrive, so you have the option of staying longer in one place. 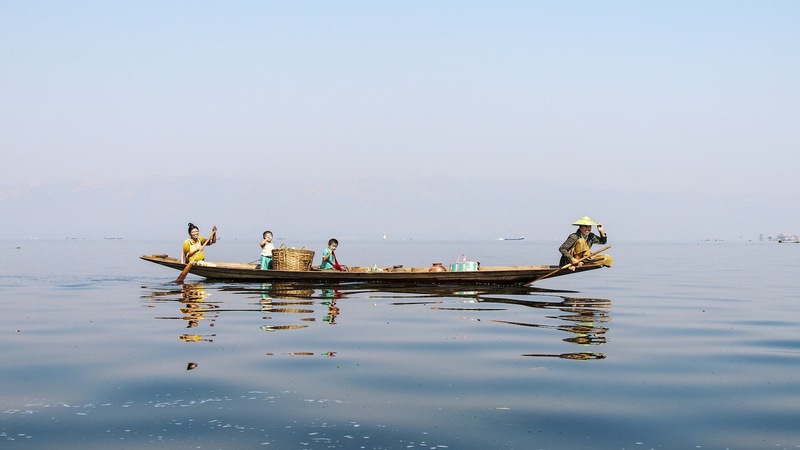 Inle Lake is my favorite part of Burma, nestled along the Shan Mountains on the central east side. Bordering Thailand, the lake is 13.5 miles long and seven miles wide. Plan to stay a few days in Sleepier Village and relax in a guesthouse (I recommend the Gypsy Inn).Explore the area and go on a hike. Day hikes with a local tour guide can vary from three hours, up to several days, so be careful what you’re booking! Another fun activity is to take a canoe tour and see the local fisherman in action and visit neighboring villages. Force yourself to wake up early one morning to visit the outdoor market where locals shop for their daily meals. You’ll find plenty of “organic, free-range, no-GMO” food choices here, for a very low price. I found the local “Shan” cuisine to be delicious — lots of fresh seafood and curries. Burmese food is best described as being a culinary mix of Thai, Chinese and Indian; always made with a wide variety of fresh vegetables. Other activities include learning a craft from the long-neck tribe women and purchasing souvenirs to help support them. Renting a bike is another great way to explore and observe what daily life is like for the villagers. I watched curious students eager to learn, friendly farmers waving and young children laughing, running around barefoot. Visitors will find a variety of accommodations for every type of traveler, from backpacker to luxury. It’s a treat to relax by the pool after a long day of biking through stupas, enjoy a cocktail and some fine dining in a luxe hotel. Regardless, there’s plenty of good food to eat in Bagan, from local family-owned restaurants, as well as the more trendy and high-end ones. I recommend an excellent vegetarian restaurant, Be Kind to Animals The Moon. 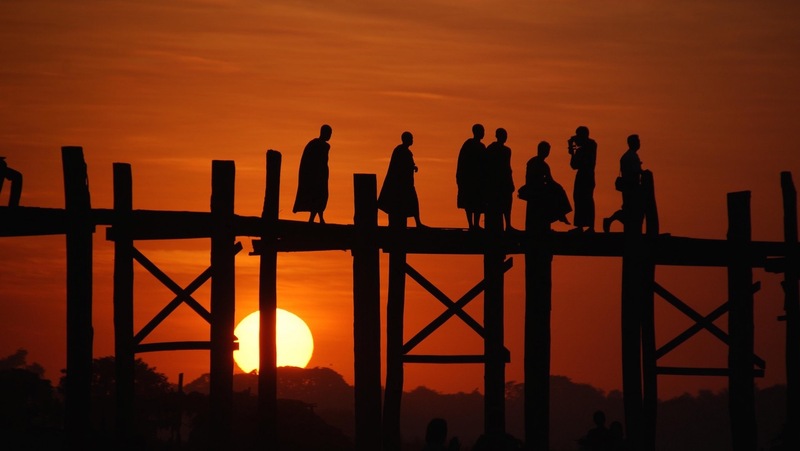 The U-bein bridge is the world’s longest teak footbridge at 1300 yards long. It’s built across Taungthaman Lake and is among the most photographed spot in Burma. This setting is the perfect place to relax in the afternoon and catch the sunset, as you watch monks and locals go about their daily routines. Believe it or not, this is the real “Mandalay Bay,” not the glitzy hotel you may have visited in Las Vegas. 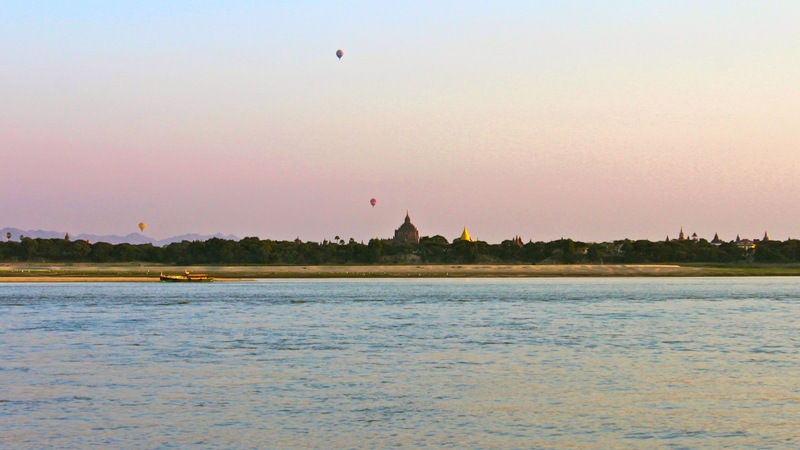 It’s one of Rudyard Kipling’s favorite places, captured in his famous poem, The Road to Mandalay. While Mandalay was Burma’s former capital, it can still be considered the ‘Culture Capital’. It’s a major city for air travel, and although it’s a busy city, you will not feel overwhelmed. Another must-see site is Mandalay Hill, a gorgeous Buddhist temple that you can climb up to the top, or take an elevator, for a 360 view of the entire city. It’s great to visit any time of day. Yangon, formerly known as Rangoon, is Burma’s capital. Flights may be cheapest from here. While it’s a big city, the pace of life is still relatively slow. Yangon is a walking city, so explore various neighborhoods on foot. There has been a modern culinary and bar scene popping up in Yangon that’s ever-evolving. Ask your hotel or guesthouse and they will lead you to the latest hot spot! 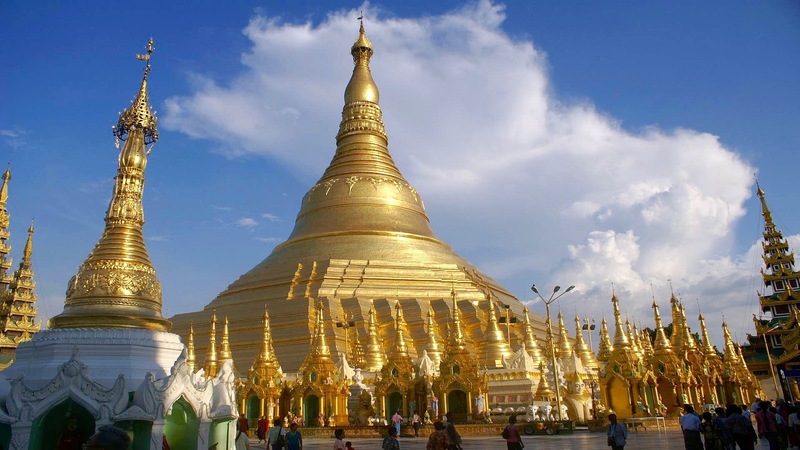 Shwedagon Paya is the most visited site in all of Burma by visitors and locals alike. Most Burmese make the far trek once in their lifetime to pay homage to this holy temple. Even in the rain, it is a beautiful sight to behold. I found one of the best ways to see Yangon (and the outskirts) was to hop on the Circle Train for less than $1 a ticket and join the locals, who traditionally utilize the train to get around. It’s a great way to people-watch and interact with others. You can easily hop off and on, as the train comes around every 30 minutes or so (schedules may change). Business is in session on the train, with vendors selling flowers, peanuts, snacks, etc. I enjoyed the ride and being a part of local life in some small way – one of my favorite memories of Yangon. The most poignant memory I have was during an unexpected and wonderful encounter with locals, near Inle Lake. One morning, as I was biking down a dirt road, smelling delicious aromas wafting from nearby kitchens, I reached for my camera and noticed it was gone! Panic set in at the thought of losing two weeks’ worth of my trip photos. Fortunately, as I backtracked, I saw an old farmer with missing teeth, smiling and waving me down. As I rode closer, I saw my camera in his hand! By then, a bunch of workers, from what looked like an orange factory, came out in amusement to see me, as I am the foreigner in their village. None of them spoke any English, but, with gestures, invited me in for tea. An older child came out and translated as they asked me a bundle of questions about my life. Most had not seen a digital camera up-close, so I showed them my journey captured through photos. It was one of those moments I wish I could have frozen in time. So precious, so raw, so kind. These people were honest and I doubt any of them would have thought to keep my camera, even though they could have probably gotten a three-month’s salary from selling it. 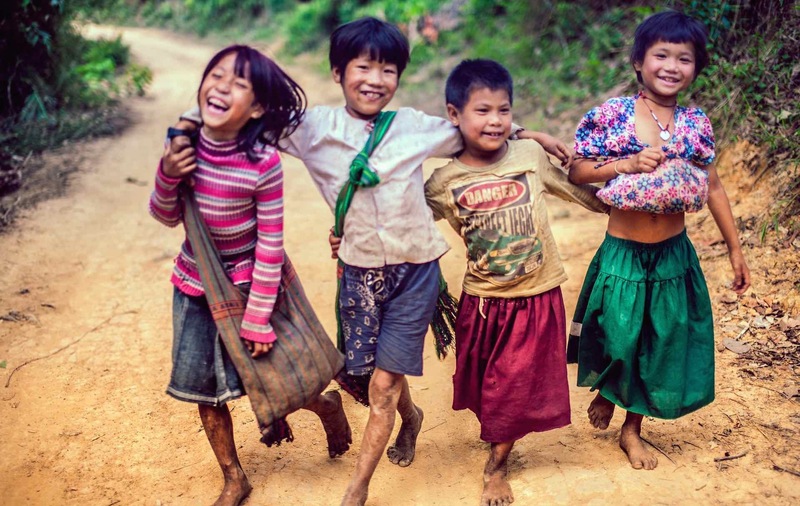 Burma and its people will always hold a special place in my heart. Passionate about Traveling the World. I've made my dream into a reality, taking 6-8 international trips a year and a dozen domestic trips. Focused on Solo Women Travels, Off the Beaten Path, Culture, Ethnic Food, and California Lifestyle.